La versione inglese dell'efferato "La donna criminale, la prostituta e la donna normale" di Cesare Lombroso, considerato fondatore della criminologia. Lombroso is widely considered the founder of the field of criminology. His theory of the "born" criminal dominated discussions of criminology in Europe and the Americas from the 1880s into the early twentieth century. His book, "La donna delinquente", originally published in Italian in 1893, was the first and most influential book ever written on women and crime. This comprehensive new translation gives readers a full view of his landmark work. 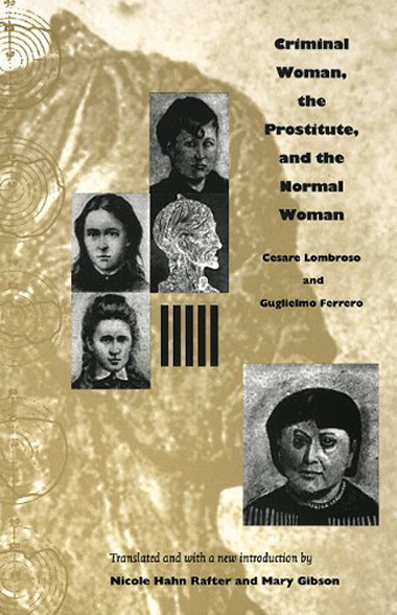 Lombroso's research took him to police stations, prisons, and madhouses where he studied the tattoos, cranial capacities, and sexual behavior of criminals and prostitutes to establish a female criminal type. "Criminal Woman, the Prostitute, and the Normal Woman" anticipated today's genetic theories of criminal behavior. Lombroso used Darwinian evolutionary science to argue that criminal women are far more cunning and dangerous than criminal men. Designed to make his original text accessible to students and scholars alike, this volume includes extensive notes, appendices, a glossary, and more than thirty of Lombroso's own illustrations. Nicole Hahn Rafter and Mary Gibson's introduction, locating his theory in social context, offers a significant new interpretation of Lombroso's place in criminology.